The last time the Green party was on Missouri’s election ballot was in 2000. 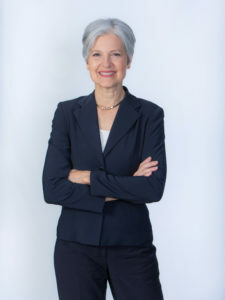 State Green party coordinator Elston McCowan thinks enough signatures were gathered to put presidential candidate Jill Stein on the general election ballot in November. “We are certainly going to be successful now because we only needed 10,000 signatures and we actually turned in nearly 30,000 signatures,” says McCowan. He says the party went from about 13,000 to 25,000 signatures in 10 days because many Bernie Sanders supporters turned to the Green party. “The Green Party has been around for a long time. People are picking and joining the Green Party because they are displeased with the Republican Party and they’re displeased with the Democratic Party. They are finding an alternative in the third party and they’re finding out that these issues that they’ve been espoused upon, the Green Party has been sharing that and espousing upon that for decades,” says McCowan. Election officials are evaluating if enough valid signatures were turned in by Stein supporters. The Party is petitioning to be on the November ballot in at least 47 states, which could be enough to win an electoral college vote.